Talk Nerdy To Me: A Touch Of Critter. In a city full of amazing artists it's awesome when something really just pops out at ya. Meet the 'Critters' from Kudu-lah. 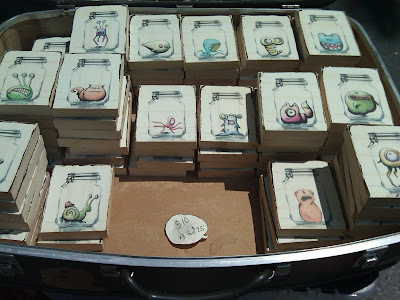 Saw these friends at the Union Square art market this past weekend. A perfect little gift straight from the nyc, each creature measures 3.5" x 4.5" mounted to a 3/4" piece of wood. LIKE! Find critters and prints here.